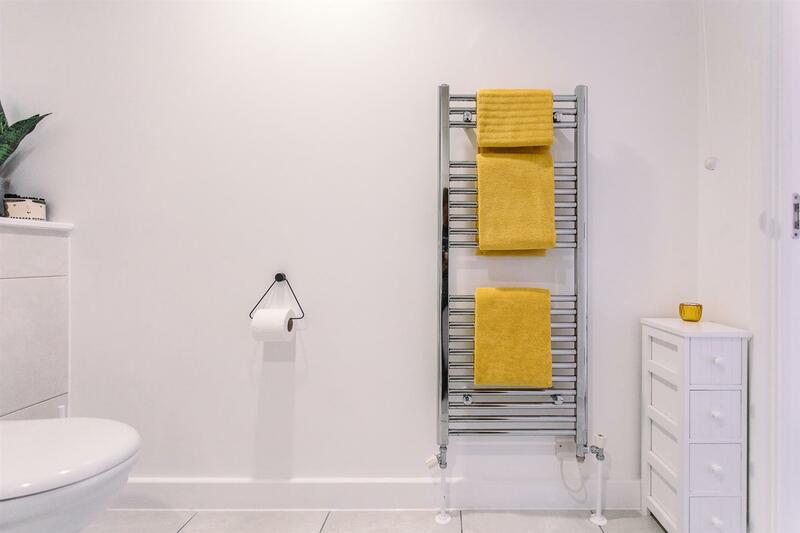 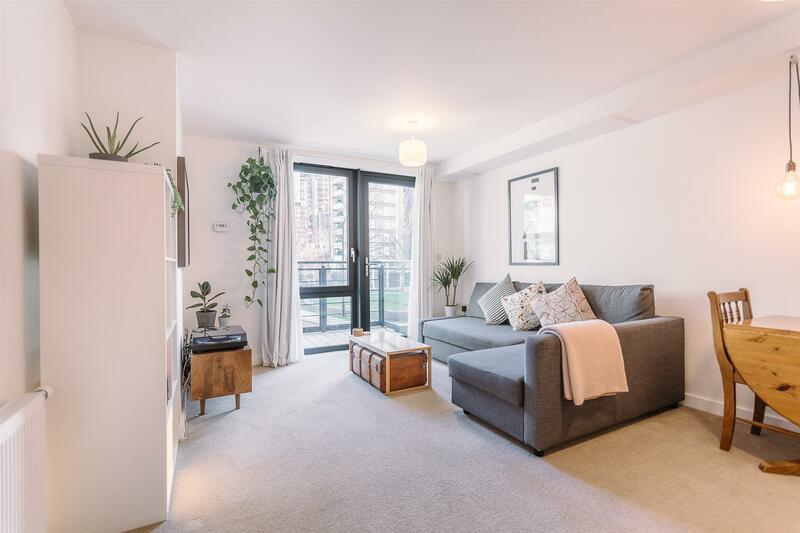 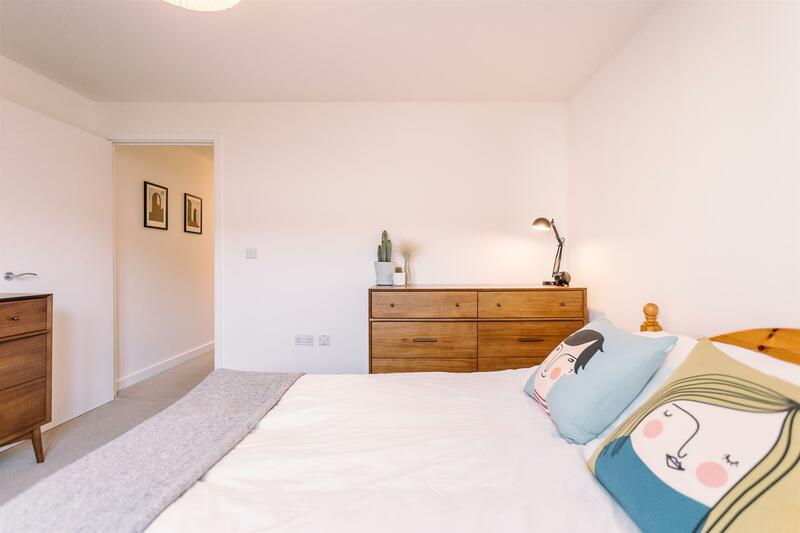 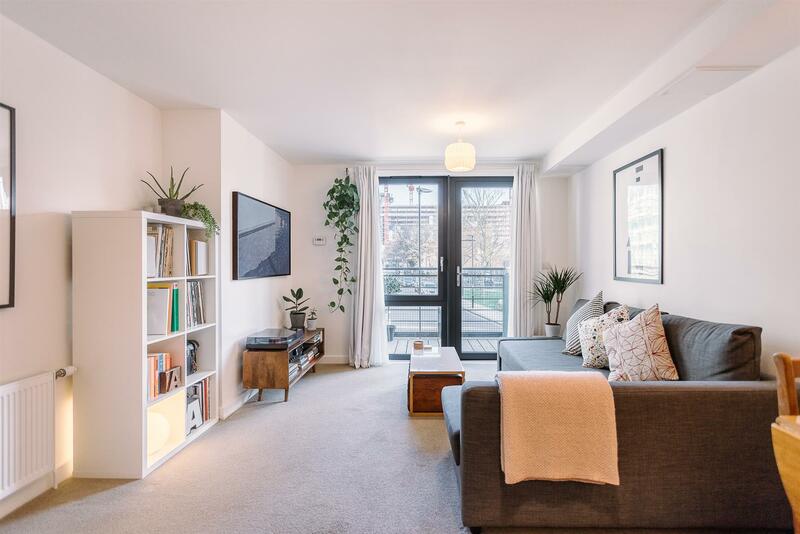 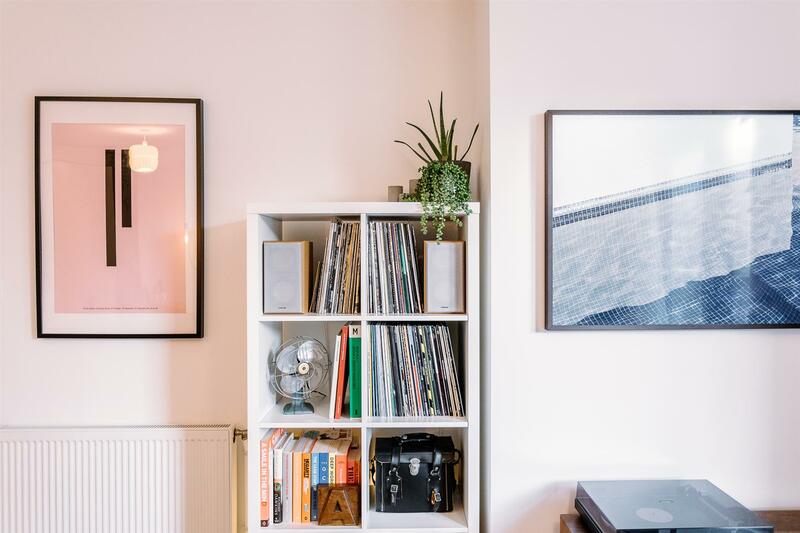 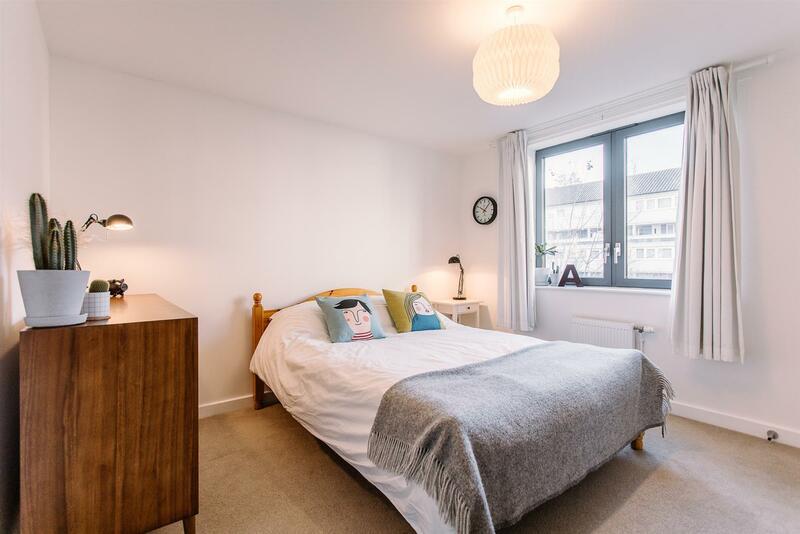 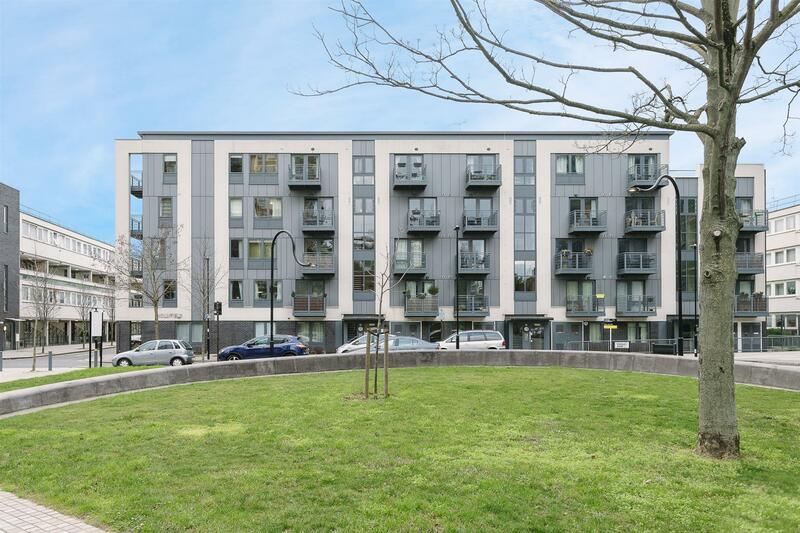 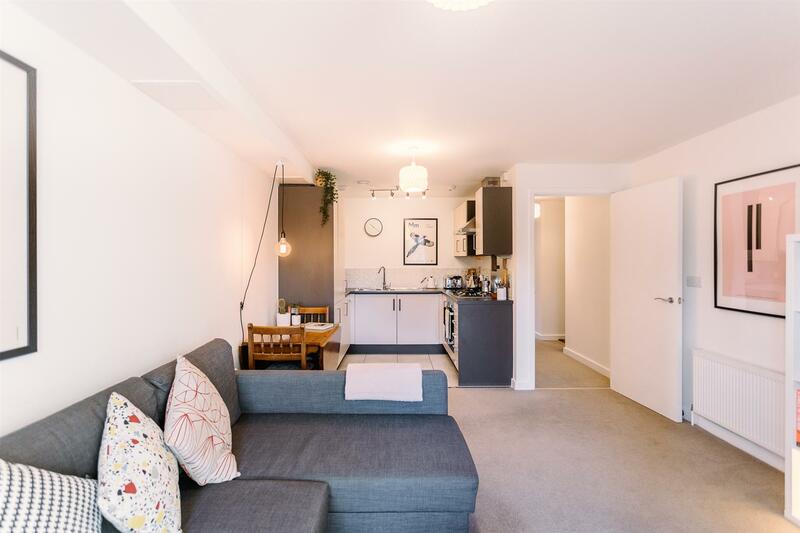 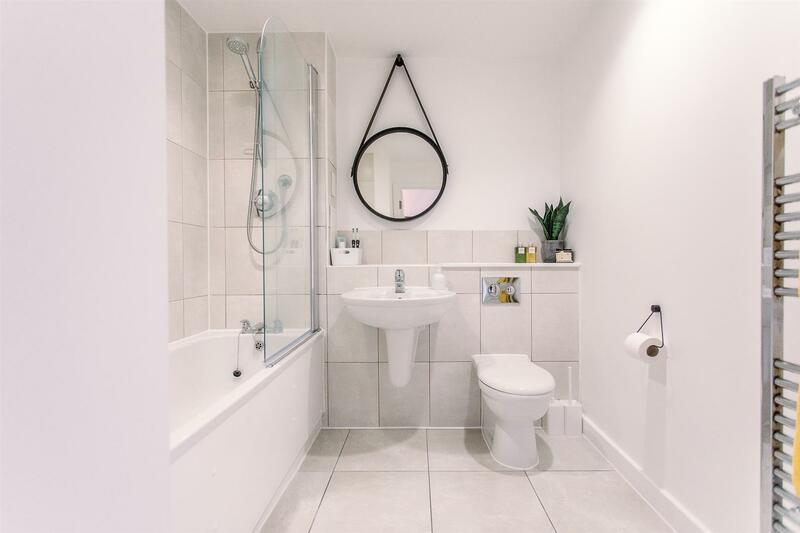 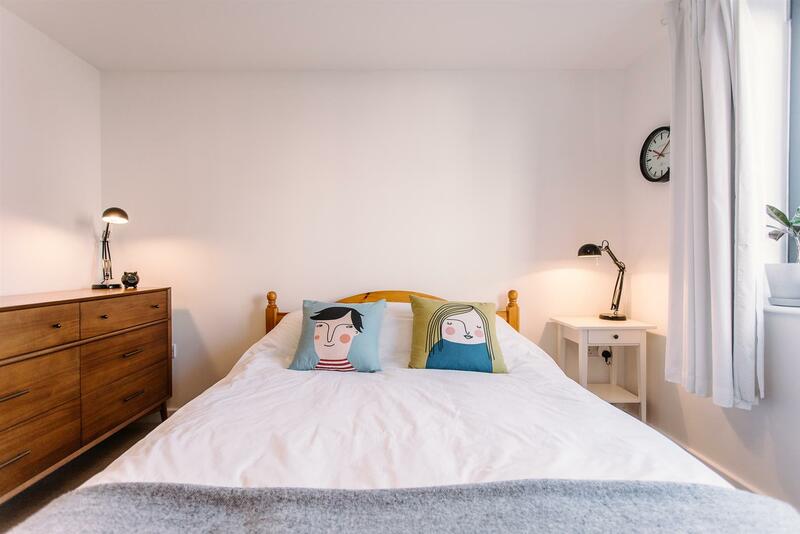 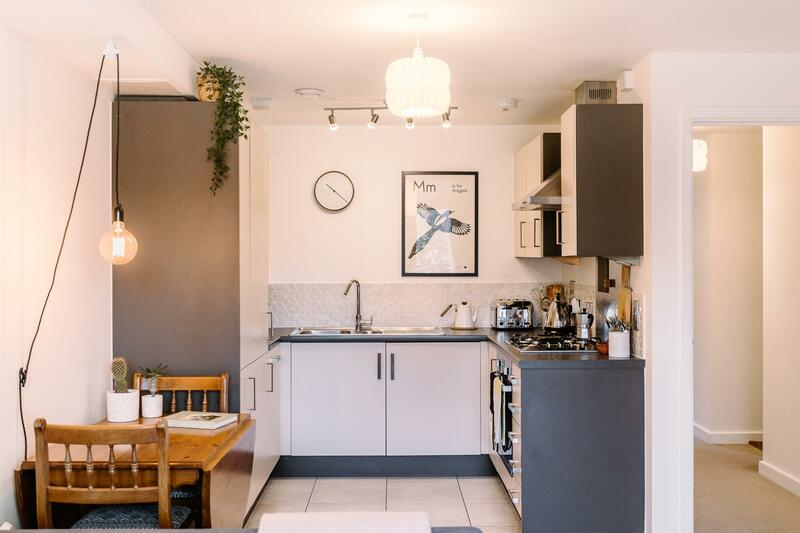 Located a swift 0.2 mile stroll from Finsbury Park Station, you’ll find a beautifully designed, recently redecorated one double bedroom apartment within a rather charming new build property, complete with a private balcony. 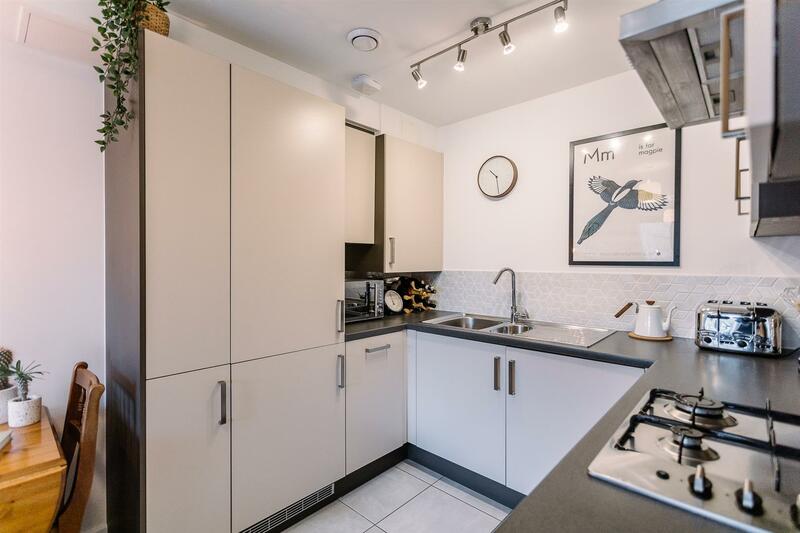 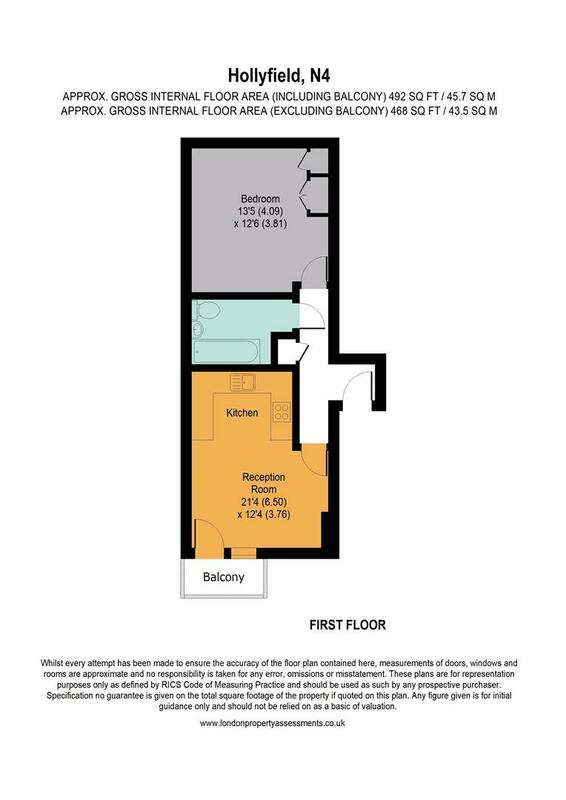 Inside, you’ll find a delightfully spacious and excellently arranged open plan kitchen and reception room. 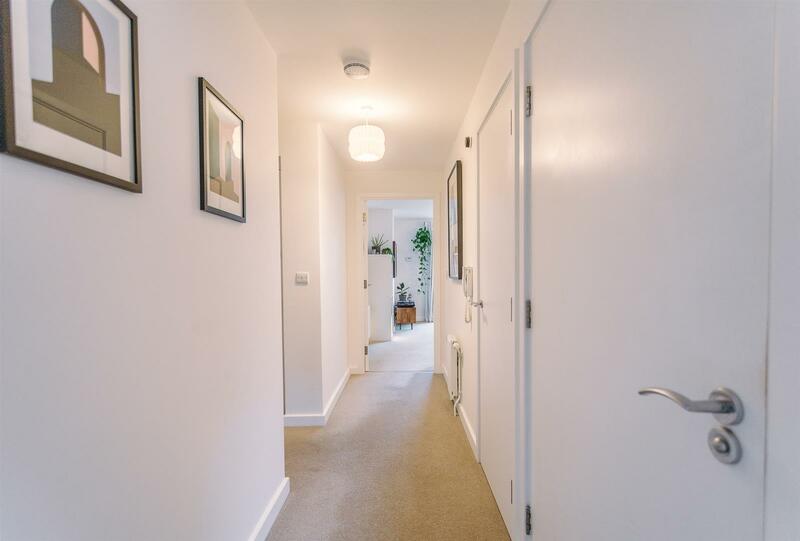 Aluminium-coated double glazed windows and a windowed door draws your eye, casting light across brilliant white painted walls and soft, cloud grey carpeting. 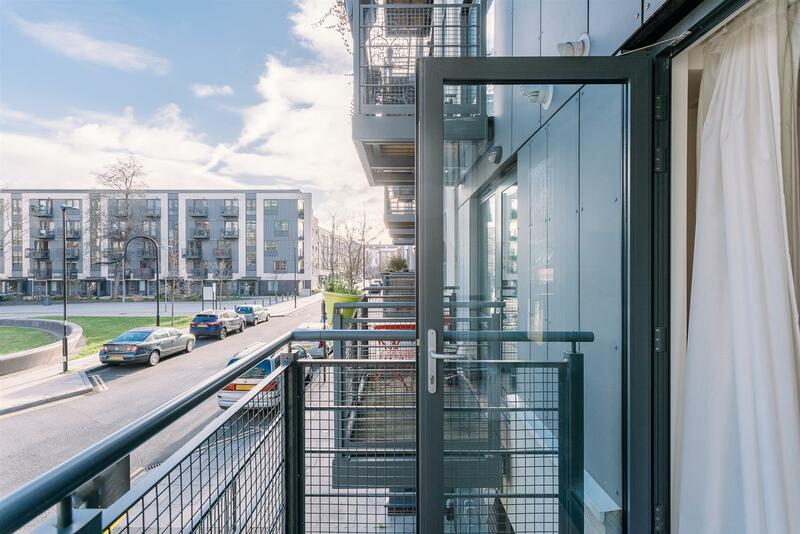 From here, you’ll be granted access to the timber-decked balcony which overlooks neighbouring communal green space. 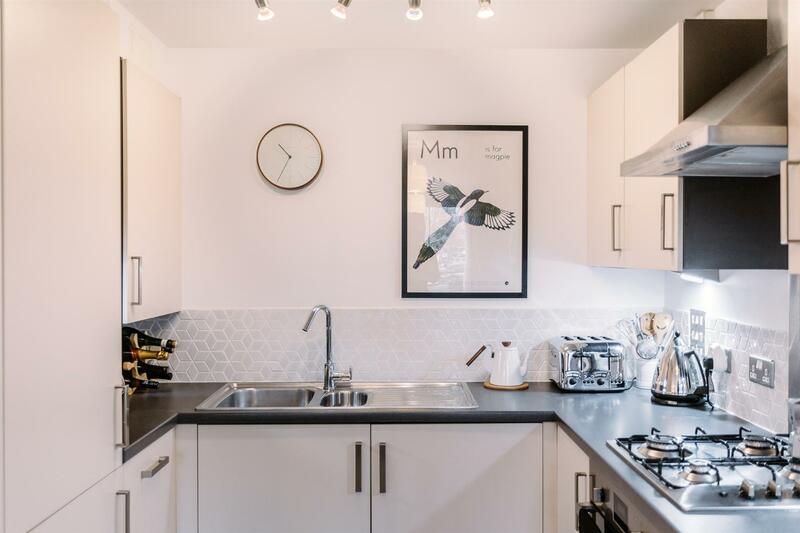 Minimalist monochromatic décor exudes from the kitchen and dining area towards the rear of the room, featuring an array of carefully considered details. 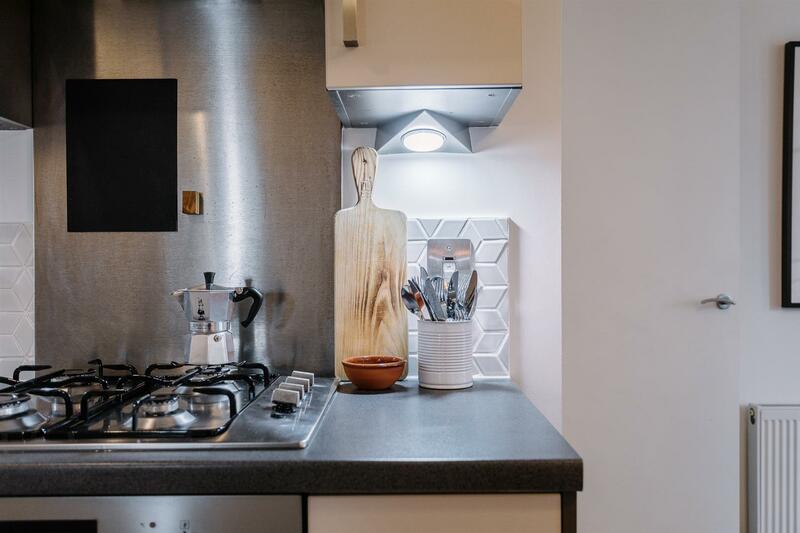 Our favourites include the unique geometric tiled splashback, the sleek white cabinet doors that contrast with slate grey painted sides, and the cleverly concealed appliances included with the property. 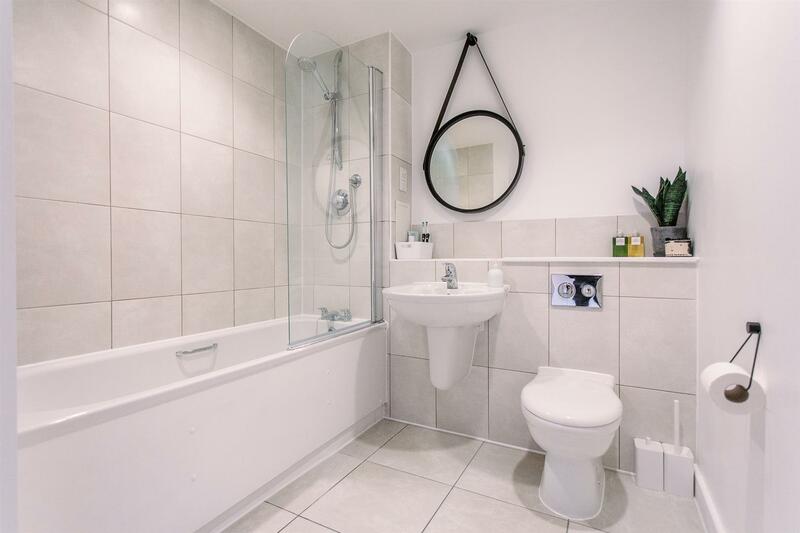 Adjacent is the inbuilt hallway cupboard and the fully fitted bathroom, featuring a wall-mounted heated towel rail, a full-sized bathtub with overhead shower, and a deep shelf concealing the dual-flush cistern and offering plenty of space to display toiletries, towels, and tealights. 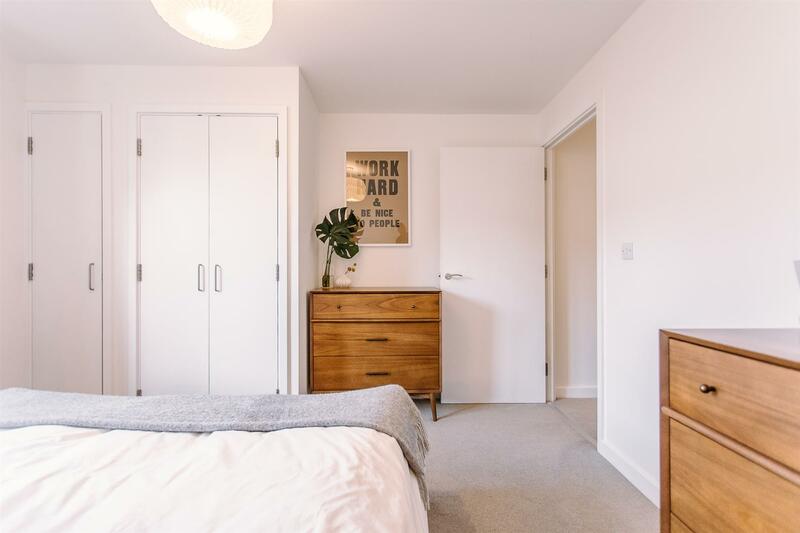 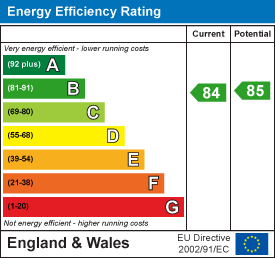 Next door is the spacious double bedroom, fitted large inbuilt wardrobes and boasting a continuation of the aluminium-coated windows, brilliant white walls, and soft, cloud grey carpeting seen across the living space and hallway. 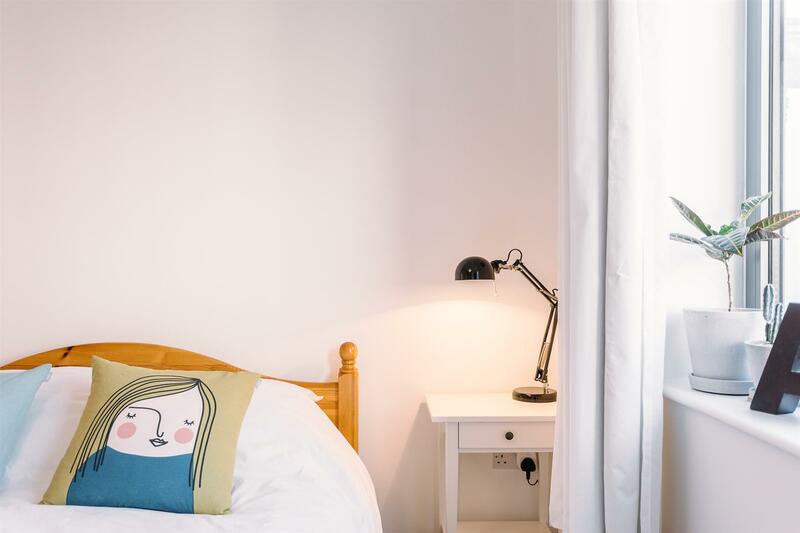 Location-wise, you’ll be just a 0.2 mile stone’s throw away to Finsbury Park Station (connecting you to Victoria, Piccadilly, and National Rail lines), with a whole host of amenities surrounding you in the local vicinity, ranging from independent plays at Park Theatre and a vast array of wines at OAK N4 to the foodie heaven of Stroud Green Road and Grade II listed green space Finsbury Park itself.